“I am honored and humbled to be selected to lead the Rensselaer City School District. It is exciting to become a part of a team with so much potential. Together, we will do great things for the students and community,” said Kardash. Kardash comes to Rensselaer from Colton-Pierrepont CSD, where he has served as the superintendent/business administrator since 2011. He previously served as the business administrator/computer coordinator/athletic director in the Colton-Pierrepont CSD. 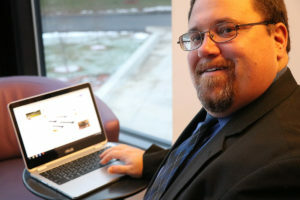 He has a bachelor’s degree in technical communications from Clarkson University, a master’s degree in computer science from Marist College, a certificate of advanced study in school district business leadership from SUNY New Paltz, and a certificate of advanced study in school district leadership from Niagara University. “Joseph Kardash stood out among a strong pool of candidates. His track record for driving academic excellence and innovation, along with his passion for working with students, staff, and families on a centralized campus, demonstrates his ability to lead and succeed. We look forward to working with him,” said Board President John Mooney. During Kardash’s time at Colton-Pierrepont, the district achieved a 100 percent graduation rate and earned the U.S. News & World Report’s silver/bronze status. Under his leadership, the district implemented a one-to-one digital device initiative for students in grades 3-12. Schools from across the state now visit Colton-Pierrepont to learn how it is done. Kardash also provided regional leadership on the St. Lawrence-Lewis Counties Employees Medical Plan Board, Regional Advisory Committee for NERIC and Rural Schools Association. He serves as president of the Tri-County Solar/Energy Consortium, the first-of-its-kind energy partnership involving 28 schools and municipalities in northern New York. 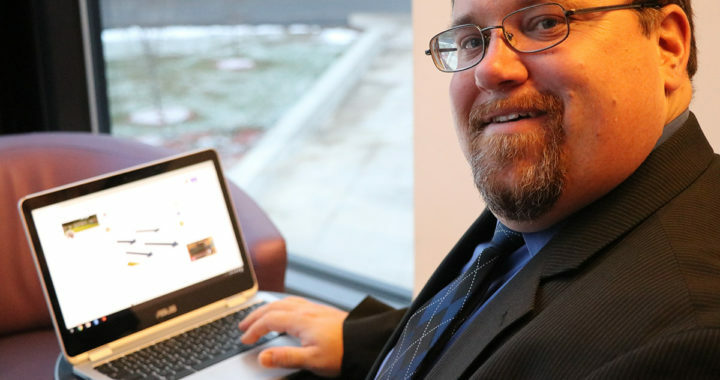 He is also an adjunct professor at St. Lawrence University where he teaches Public School Finance and Applications of Technology to prospective administrators. Kardash started his professional career as a software engineer for IBM in Poughkeepsie before moving to the North Country for a career in public education. He and his wife are originally from the Capital Region. The Rensselaer CSD Board of Education offered Kardash the position following an extensive search and interview process, which started in October 2017. At that time, the board asked the community to provide feedback on the desired characteristics of the next superintendent and to list questions to ask prospective candidates. Nearly 100 people submitted feedback via an online survey. This information was used to develop a recruitment brochure and interview questions. The position was then advertised across the state and country in November and December. A stakeholder committee comprised of 11 members representing teachers, staff and community members interviewed eight candidates in mid-January. The school board reviewed the committee’s input, narrowed the field and interviewed four finalists. Mooney said the board would like to thank the community members, staff, and others who participated in the process and provided feedback to the board. Questar III BOCES assisted the Rensselaer CSD Board of Education with its search process.